Despite the fact that we spend a lot of free time on the computer, television continues to be mandatory appliances for every home. so we have to think about the TV units or stands, usually we refer to it as a cabinet. Even if it is flat and hanged on the wall, because it is necessary somewhere to put DVD, game console, media center, magazines, remote controls, etc. 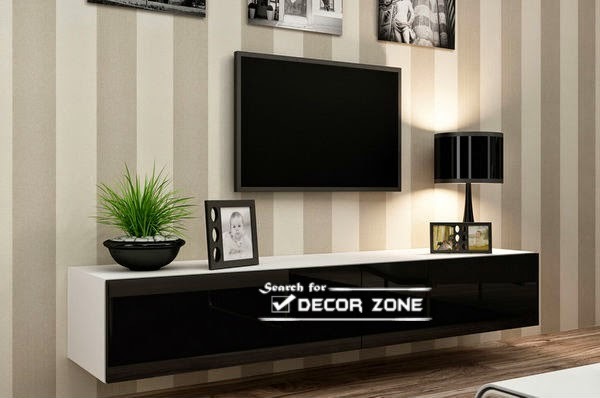 TV wall units : how to choose ? Because of the abundance of TV wall units models, sometimes you have to search for stand suitable in size, quality and style. 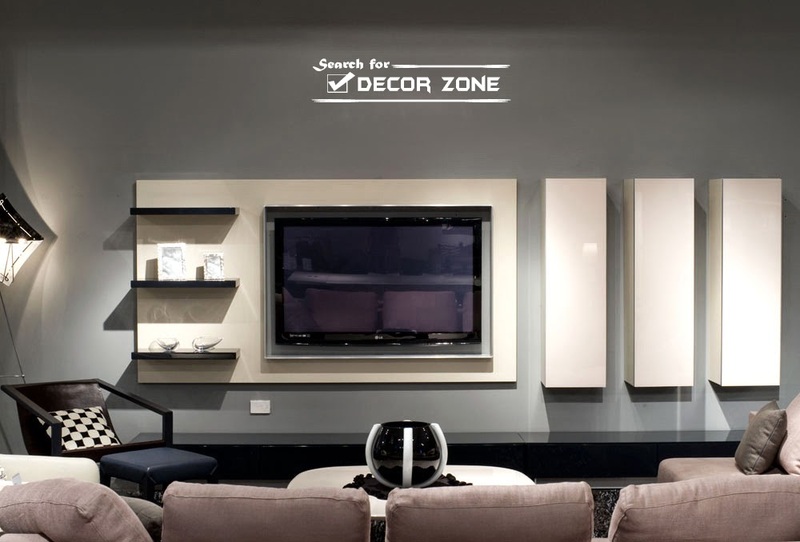 What are the main criteria when choosing a TV wall units? For example, DVD-player should not extend beyond the shelf. Thus it is better to buy a stand that fits the size of the living room (huge rack in a small room rarely looks good). Just remember that in the store the furniture looks a bit smaller and lower because of the large space, so consider this when buying the modern TV units. Owners of small apartments can not lose any square inch of usable area for storage of different "stuff". 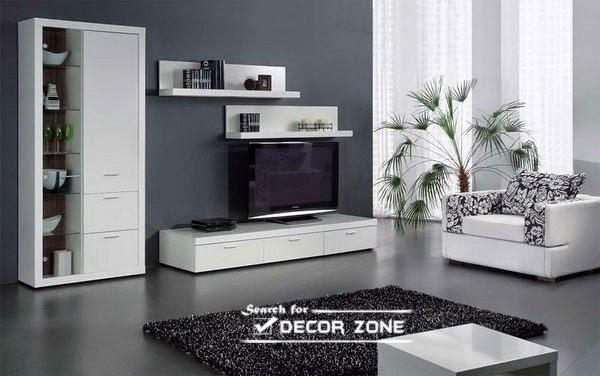 In this case you should choose a TV units with several shelves, doors and drawers where you can not only put the video equipment, but also expands to the family albums, CDs, etc. 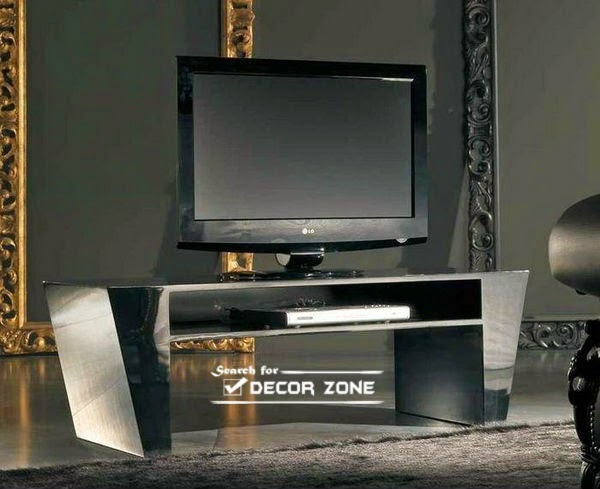 Modern TV units can be found in all shapes: round, rectangle, polygon, abstract shapes, with sharp and rounded edges. The choice depends on the interior layout. If the furniture has smooth curves, you should choose an oval cabinet. If you plan to put the TV in the corner, it is better to buy a corner TV units. Today you can buy wood, glass, metal TV units, as well as made of chipboard and MDF. A variety of materials designed to maximize natural fit stand in classic and modern interiors. 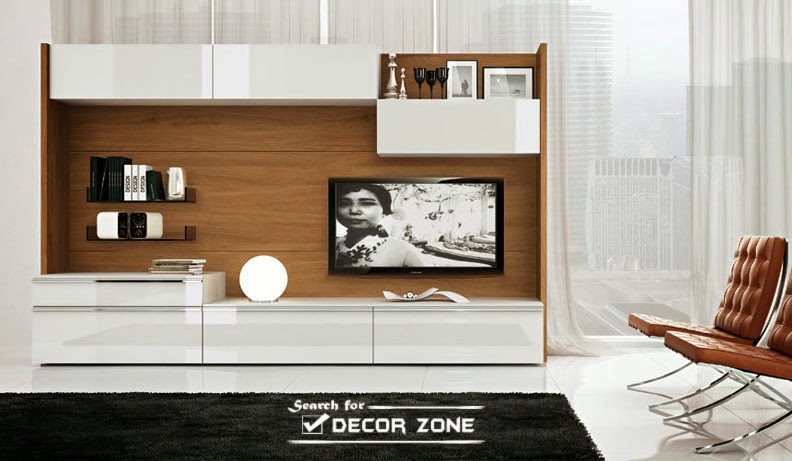 Variety of colors and "wood patterns" allows you to choose a modern TV units in the same color and style of the existing furniture in the room. In small rooms you can install glass tables made of tempered glass, which will make the interior fairer and brighter. Depending on the inserts and additional components, glass will fit into any room, no matter what style of the interior. Based on the expected load on the TV and its accessories, it is better to buy a model of tempered glass thick (at least 8-12 mm) with polished edges. Fans of the original interior may be advisable to purchase mirrored TV wall units of transparent Plexiglas. 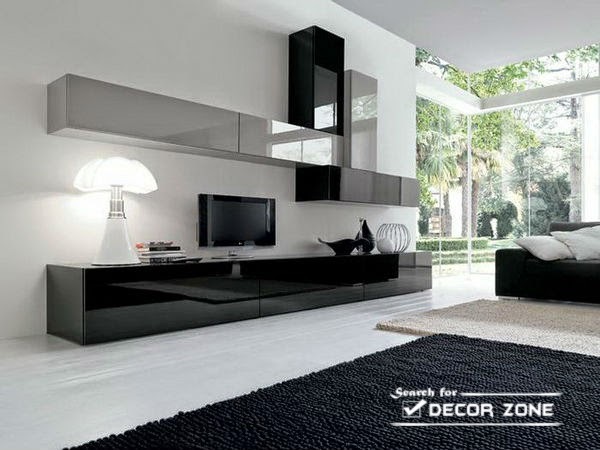 TV wall units should be fully consistent with the style in which the room is decorated. For example, smooth and glossy modern table will look weird surrounded by the Baroque furniture with curlicues and gilt. If the room in a minimalist style, it is likely, plasma will hang on the wall. Then the role of the stand will look good flat glass or mirror console. 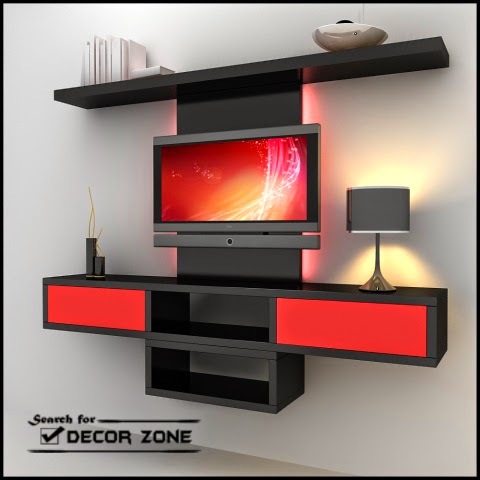 Modern tv units can be in any color, but rather that this shade was already present in the room. Otherwise, such a large piece of furniture needs to be supported with carpet or chair of the same color, which may lead to a glut of interior paints. Another note on the height of the stand: 50 cm - is the optimum size for a person of average height.